#1 NATIONAL BESTSELLER A bold new telling of the defining battle of the Great War, and how it came to signify and solidify Canada's national identity Why does Vimy matter? How did a four-day battle at the midpoint of the Great War, a clash that had little strategic impact on the larger Allied war effort, become elevated to a national symbol of Canadian identity? 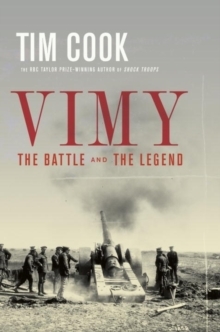 Tim Cook, Canada's foremost military historian and a Charles Taylor Prize winner, examines the Battle of Vimy Ridge and the way the memory of it has evolved over 100 years. 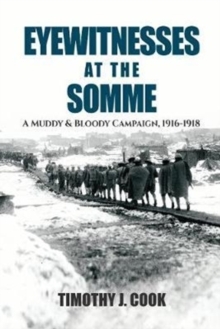 The operation that began April 9, 1917, was the first time the four divisions of the Canadian Corps fought together. More than 10,000 Canadian soldiers were killed or injured over four days--twice the casualty rate of the Dieppe Raid in August 1942. The Corps' victory solidified its reputation among allies and opponents as an elite fighting force. In the wars' aftermath, Vimy was chosen as the site for the country's strikingly beautiful monument to mark Canadian sacrifice and service. Over time, the legend of Vimy took on new meaning, with some calling it the "birth of the nation." The remarkable story of Vimy is a layered skein of facts, myths, wishful thinking, and conflicting narratives. Award-winning writer Tim Cook explores why the battle continues to resonate with Canadians a century later. He has uncovered fresh material and photographs from official archives and private collections across Canada and from around the world. On the 100th anniversary of the event, and as Canada celebrates 150 years as a country, Vimy is a fitting tribute to those who fought the country's defining battle. It is also a stirring account of Canadian identity and memory, told by a masterful storyteller.